Workers Compensation Settlements | How Much Is Your Injury Worth? We all work for a living. We all have to work for a living. It’s how we get through life. Food, a car, clothing and a roof over our heads all cost money. Working is how we earn the money that pays for the things that we need. It’s a fairly simple routine that millions of people follow every day. That is until something catastrophic happens to upset that routine. Something like an on-the-job injury. When you’re involved in a workplace accident, your entire life changes. Your physical injuries prevent you from performing the most basic of your daily tasks. You may be relying on friends or loved ones to provide for your needs. In short, you have lost your independence, including the ability to work in order to earn the money that you need to live. This inability to do what you need to do can last for months, years and, in some cases, it can be permanent and last for the rest of your life. If your injuries from a workplace accident are severe enough, you may find yourself in a situation where you will never fully recover. If this happens, you will be considered permanently disabled, either totally or partially. California’s workers’ compensation laws are designed to provide you with the money that will fairly compensate you for your total or partial disability. In the vast majority of workers’ compensation claims involving permanent disability, this money comes in the form of a settlement. An experienced workers’ compensation attorney, like those at the law office of Fraulob-Brown, will use their knowledge and expertise to your advantage by obtaining the highest possible settlement of your workers’ compensation claim. Your employer pays into a workers’ compensation insurance policy or is self-insured. Either way, this insurance exists to cover the costs that are typically associated with a workplace accident, for example bills for medical treatment and temporary or permanent disability payments. This means that the parties involved in a typical workers’ compensation claim are you, the injured worker, and your employer’s insurance company. Once you file your claim and have begun medical treatment for your injuries, your doctor will be able to formulate a prognosis on your chances for a full recovery. If a full recovery is not possible, your attorney will ask your doctor to file a report regarding the nature of your injuries and the prognosis for your recovery. Specifically, in terms of a potential settlement, the report will state that your recovery from your injury has reached a plateau and that further medical treatment will have no beneficial effect. The doctor will also rate the level of your impairment on a scale of 1% to 100%. Obviously, the higher your level of impairment, the more valuable your claim becomes. That report is then sent to the administrator at the Workers’ Compensation Board in charge of your claim. A copy of the report is also sent to your employer’s insurance carrier. Once the nature of your injuries, as well as your chances for a full recovery, are fully known and if all the parties involved in your claim are in agreement in regard to your prognosis, then a settlement of your claim can be reached. Remember, a settlement is an entirely voluntary process. While you do have a right to see your workers’ compensation claim adjudicated, you do not have a right to a settlement. In addition, by definition a settlement is a compromise. All the parties involved will have to agree to “meet in the middle”, so to speak. Each will give up the most favorable position in return for avoiding a possible negative result at adjudication, as well as receiving a quick and efficient end to the claim process. WHAT TYPES OF SETTLEMENTS ARE AVAILABLE TO ME? In general, there are two types of settlements available in a workers’ compensation claim. The first is a stipulation and the second is a compromise and release. We will examine both types of settlements in turn. A settlement by stipulations is an agreement whereby permanent disability payments are paid out to you on a bi-weekly basis over time. The amount of these payments will depend on your level of disability, as well as your salary at the time of your injury. More importantly, with a settlement by stipulations, you keep the right to obtain future medical treatments for your injury for the rest of your life. 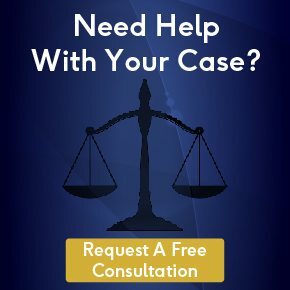 Furthermore, if your prognosis worsens over time, you also have the right to attempt to reopen your case to obtain further benefits for your worsening condition. In the second type of settlement, a compromise and release, you receive one lump sum for your injuries. This amount is often higher than the amount that you would receive through a settlement by stipulations because, as the name implies, you are releasing the defendant insurer from any obligation to pay for the cost of future medical treatments for your injuries. You are also giving up the right to reopen your claim at a future date should your condition worsen. WHAT TYPE OF SETTLEMENT SHOULD I CHOOSE? Again, you are not obligated to settle you workers’ compensation claim. Selecting a settlement type and accepting a settlement amount are purely voluntary actions. You can always refuse to settle your claim and have the facts surrounding your workplace injury heard by an administrative law judge. Of course, should you choose to go to hearing, the decision rendered by the judge is, for all intents and purposes, final. The process of settlement is both a science and an art. Both sides to the average workers’ compensation claim have an interest in settling, as well as an interest in proceeding to adjudication. The secret is finding a balance between these two competing interests that satisfies the parties involved. The attorneys at the law firm of Fraulob-Brown are experienced in the art and science of settlement negotiation. They know the ins and outs of the settlement process and they know the law. They will use this experience to help you arrive at a settlement that is right for your claim and your situation.